In a cosmopolitan city like Bangkok, there’s no lack of dining options. Apart from night markets and affordable delicious Thai food, there are a myriad of restaurants and cuisines to choose from. 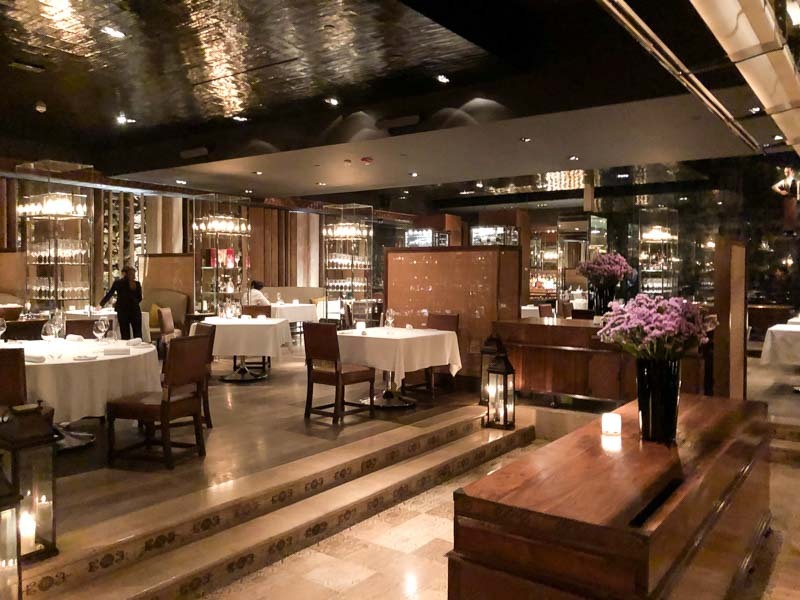 If you’re looking for a romantic date night in this capital, why not try the classy Tables Grill at Grand Hyatt Erawan? 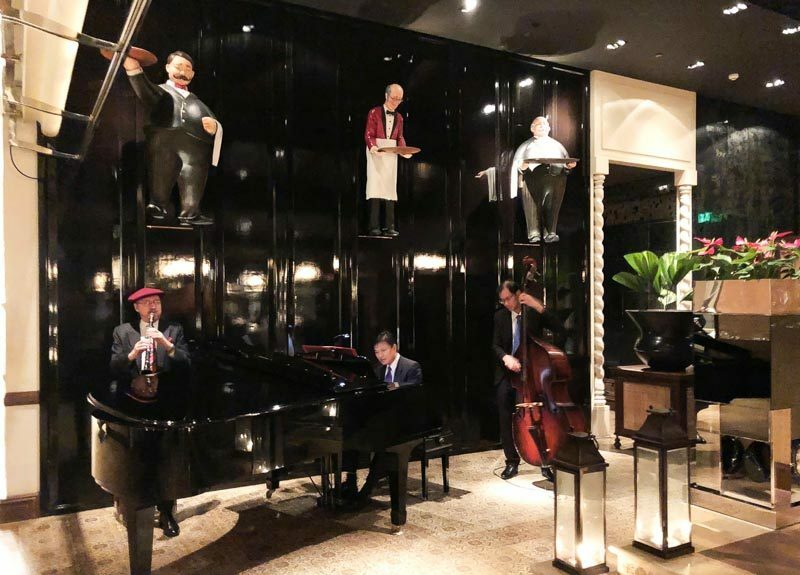 The restaurant sets up the ambience for a night to remember, with cosy lighting and a three-piece live band to get you in the mood for a delicious meal. Serving modern French cuisine, choose between the five-course seafood Degustation Menu at THB 2,900+++ or the six-course menu (with an additional meat dish for meat lovers) at THB 3,900 +++, curated by Chef Hans Zahner. 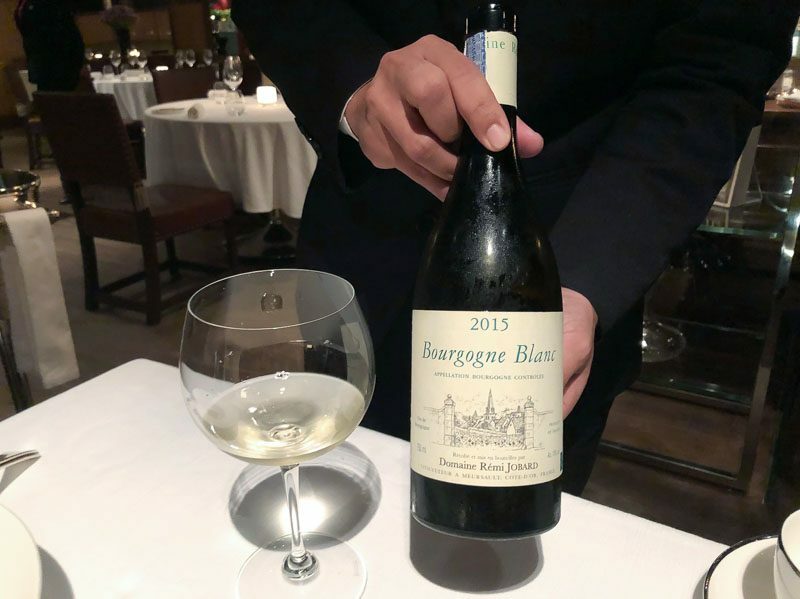 For those not familiar with him, Chef Hans Zahner used to work at a 3-star Michelin restaurant in Paris before moving to Shanghai where he led his team at Sir Elly’s in Peninsula Hotel to its very first Michelin star. He created this menu using a mix of imported seafood as well as fresh produce from all around Thailand. You can also request for wine pairings as well as some cocktails for the meal. Nath (formally from the popular Hyde & Seek cocktail bar) was our friendly sommelier that night and was happy to shake things up a bit. 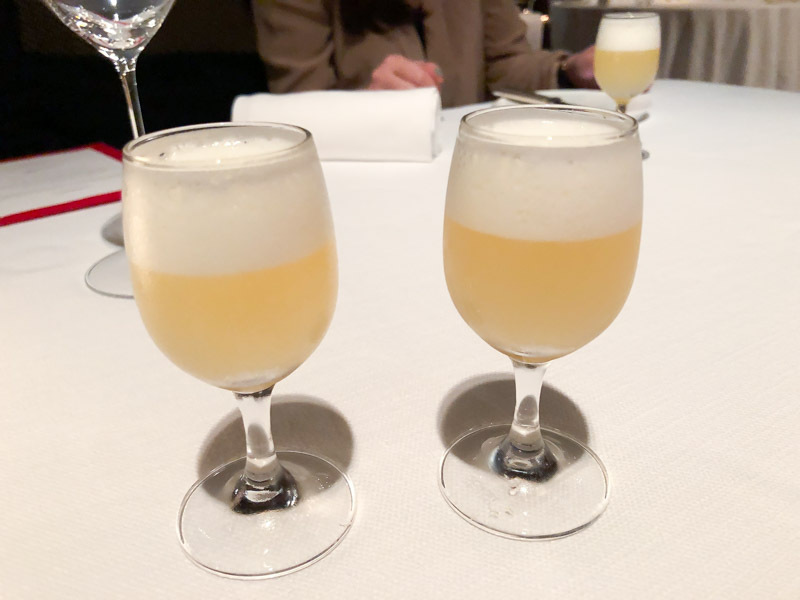 We were first presented with a welcome drink that was a refreshing concoction of yuzu sake, bianco and egg white. It was very light and certainly made for a good way to start the dinner. We were also served complimentary pre-appetisers, which were two colourful small bites. We were advised to start from the left so I popped the cold green consomme jelly into my mouth and was met with a pleasant “grassy” flavour. On the contrary, the other small bite was warm and savoury, with the texture of a wanton dumpling. 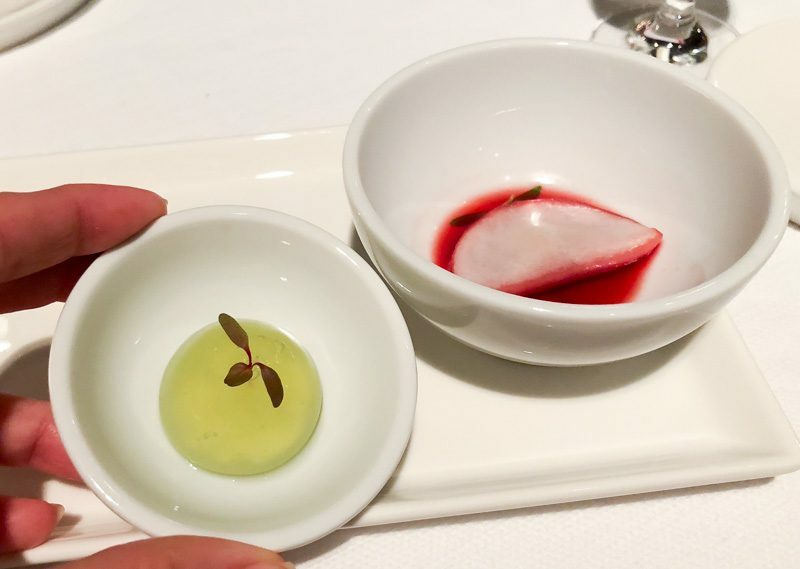 Both bites were delicately flavoured, teasing the palate with a play on textures and temperatures. 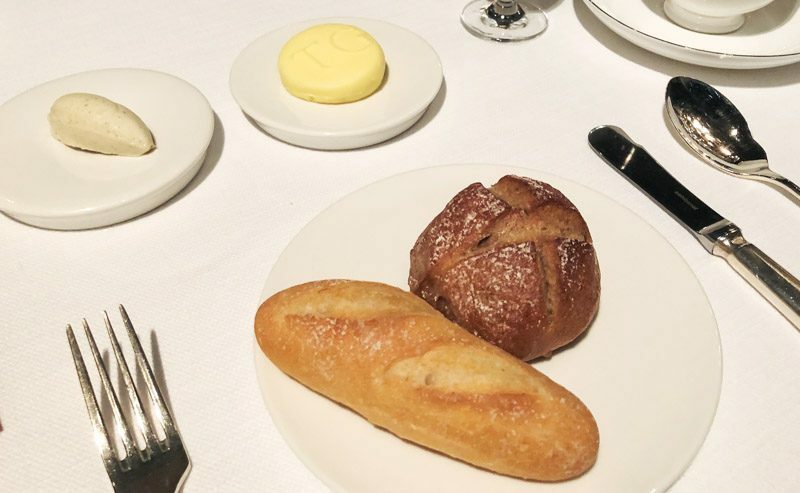 Before tucking into the first course, do try something from the restaurant’s freshly-baked warm selection of bread. Slather a generous portion of the truffle cheese butter and also give the home-made raw milk butter a try. The latter tasted very similar to the famed Bodier Butter that is made through artisanal techniques to achieve its complex flavour and silky texture. We started the meal proper with a luxurious appetiser, the Langoustine Tartare. 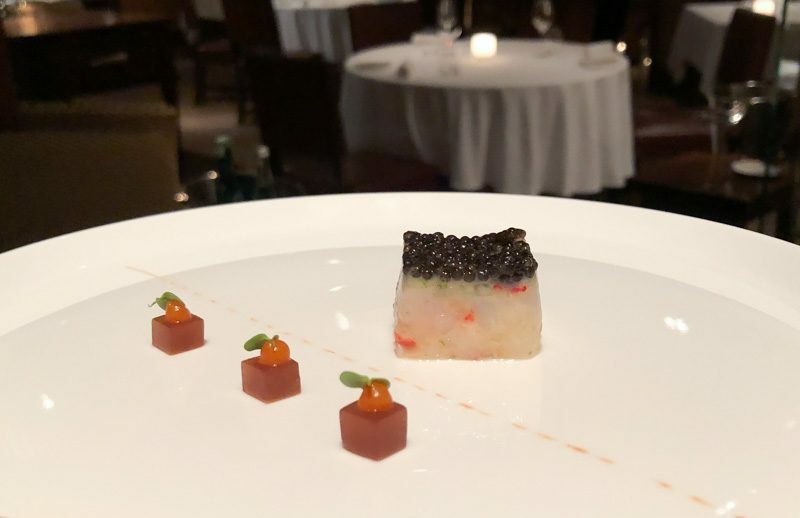 It was served with locally-farmed caviar from Hua Hin, consomme jelly tomato coulis and lemon zest. 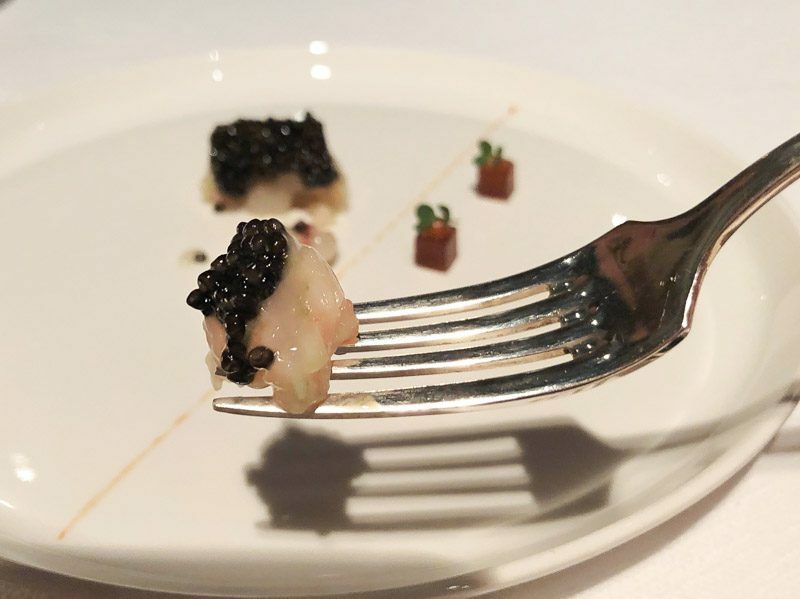 The langoustine (also known as Norway lobster) had a delicate sweetness to it, while the caviar popped in my mouth to create a smooth creamy consistency. Nath suggested we pair this dish with a glass of bubbly from France. 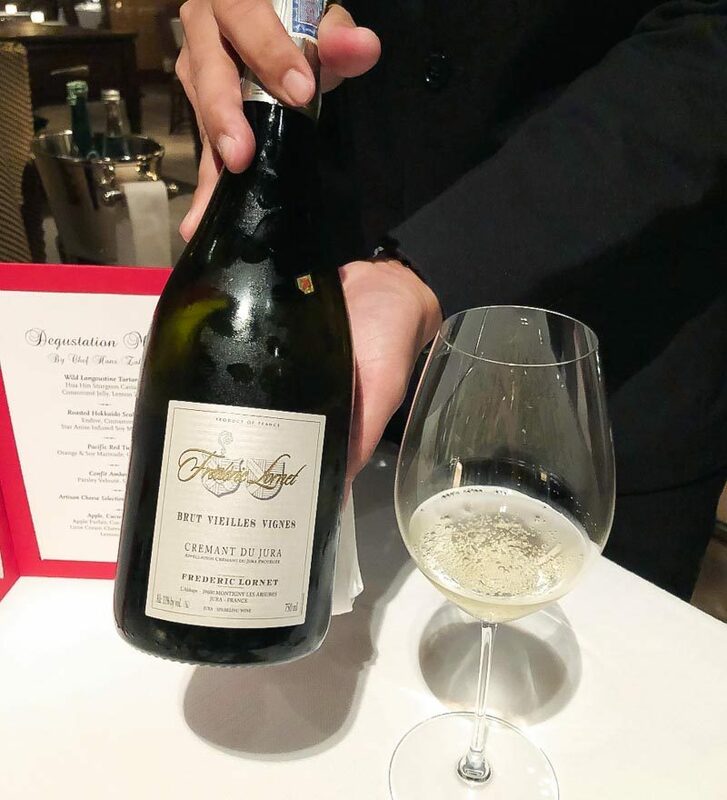 Frederic Lornet Brut Vieilles Vignes (Glass THB 560+++ / Bottle THB 2,800+++) is a sparkling wine in 2nd fermentation and is similar to Champagne. It was crisp and fruity making it an easy drink, and it paired really well with the sweetness from the langoustine. 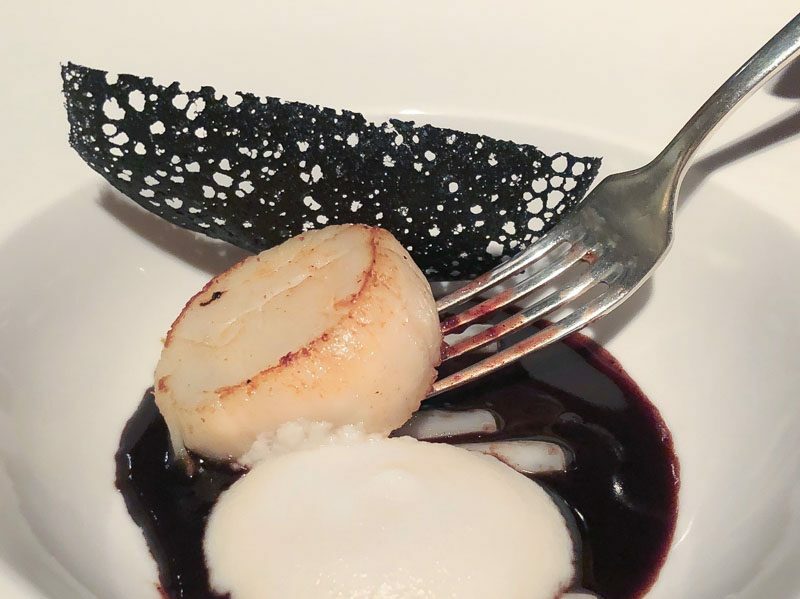 Next we were served Roasted Hokkaido Scallops that came with Belgian endive, soy milk foam infused with cinnamon, cloves and star anise atop a hearty port sauce, and crowned with a slice of squid ink tuile. 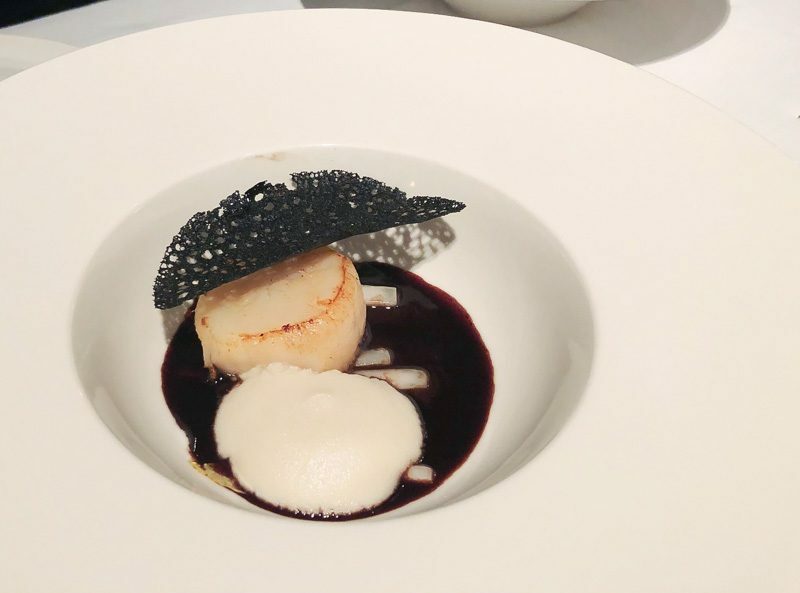 The pan-seared scallop was unfortunately a tad over-cooked for my liking and the port sauce seemed to overshadow the natural flavours of the scallop. Luckily, the soy milk foam lifted the dish a little and balanced it out. We had a glass of chardonnay, Bourgogne Blanc 2015 (Glass THB 590+++ / Bottle 2950+++) to go with this dish. While I am no connoisseur of wines, the prominent taste of toasty oak and the high acidity of this white wine toned down the hearty port sauce and melded with the light creamy soy foam, making for a balanced dish altogether. 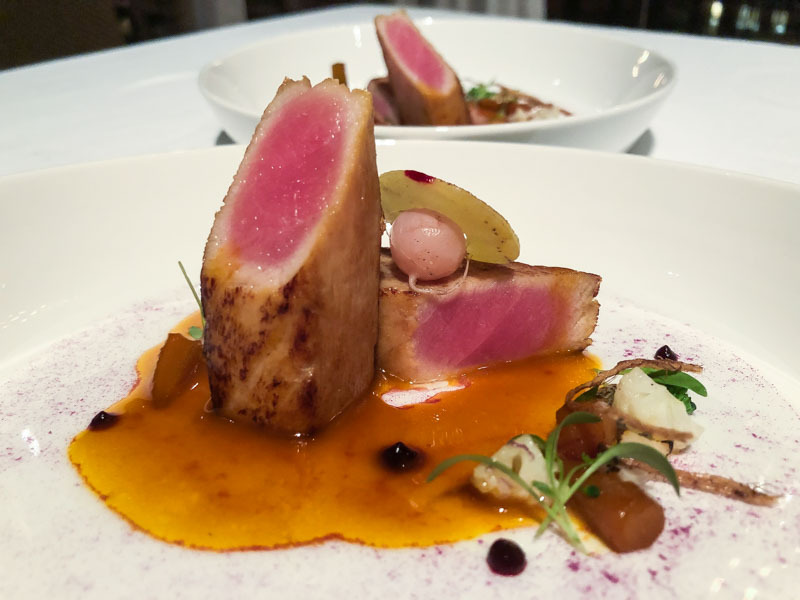 The Pacific Red Tuna served next was perfectly cooked, leaving a delicious pink centre. 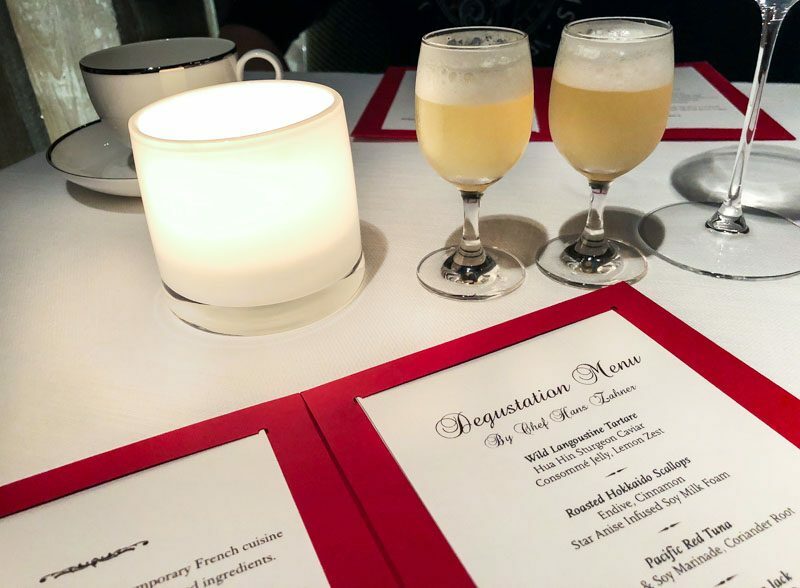 The citrusy orange and soy marinade with a hint of coriander root displayed the Chef’s use of local ingredients to complement his French dishes. 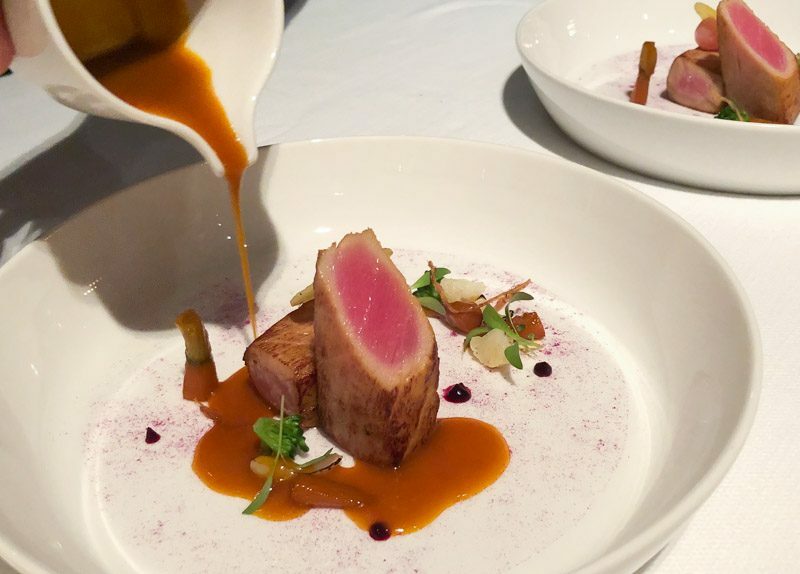 The result was a tangy umami sauce that highlighted the freshness of the tuna. 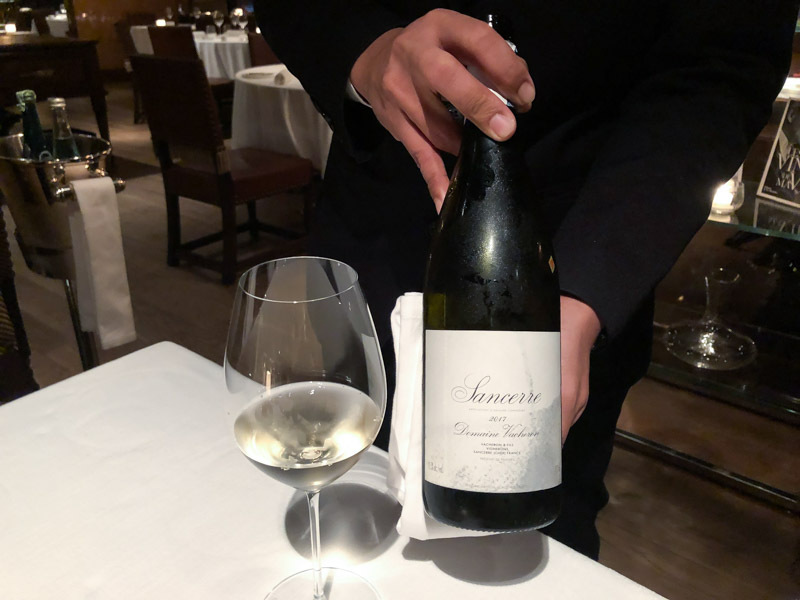 This third course was paired with a glass of sauvignon blanc, Domaine Vacheron Sancerre 2017 (Glass THB 670+++ / Bottle THB 3,350+++) to be exact. The wine’s fruity floral notes really complemented the tuna and the slightly sweet marinade. 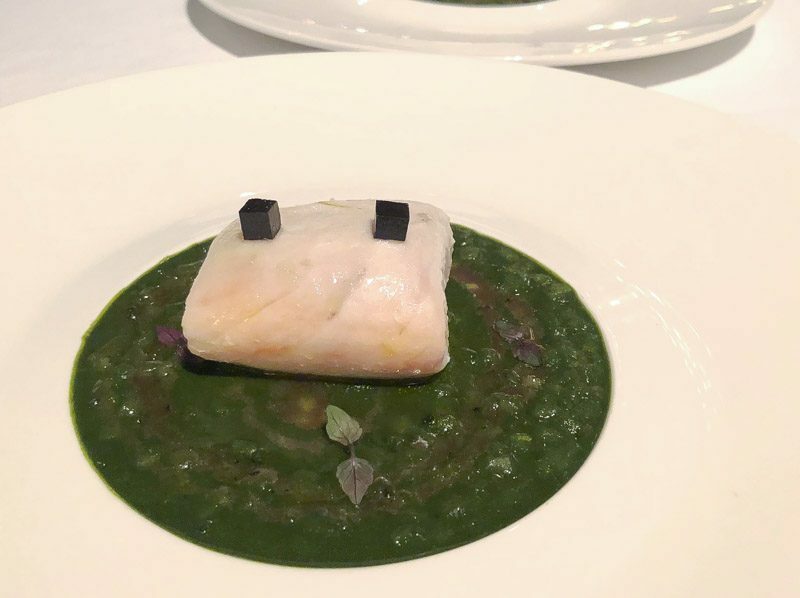 The final dish of the night, the Confit Amberjack was served atop a parsley, water cress and endive sauce with fresh truffle from France. The amberjack is the youngest species in the yellowtail family and this fish was air-flown all the way from Wakayama, Japan. Sous-vided at 47 degrees celsius for 20 minutes, the fish was tender and well-seasoned. This dish was initially a let-down for me after the first bite as the flavours were all screaming for attention in my mouth. My dining companion had a different opinion altogether. As a die-hard fan of all fish dishes, she loved the distinctive flavour and firm texture. The green veloute pared down the fishiness while retaining the sweetness of the amberjack. As for me, the wine pairing definitely elevated this dish. 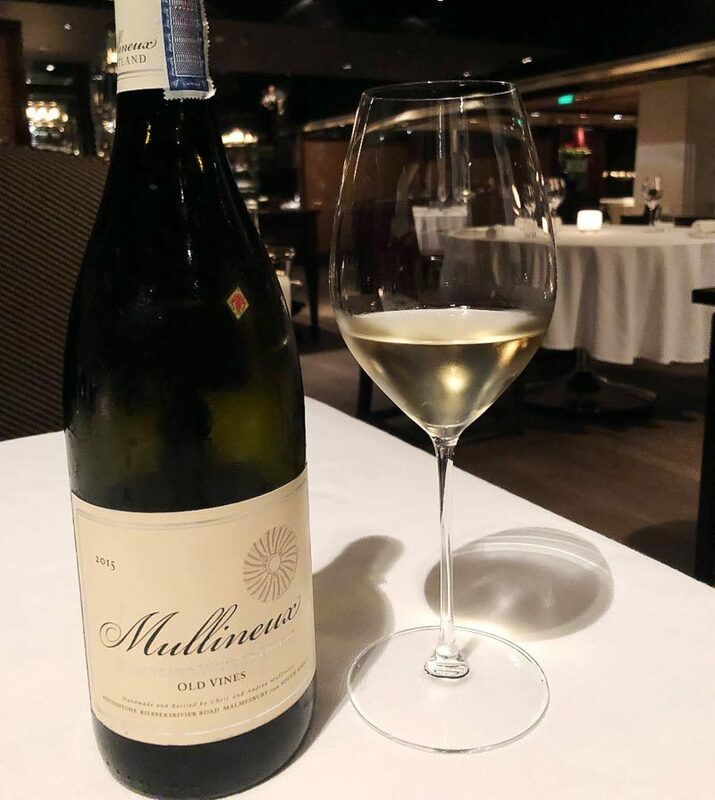 After a sip of the recommended wine, Mullineux Old Vines 2015 (Glass THB 670+++ / Bottle THB 3,350+++), the flavours started to mellow and delightfully coated my palate. The amberjack was the last dish but the meal wasn’t quite over yet. 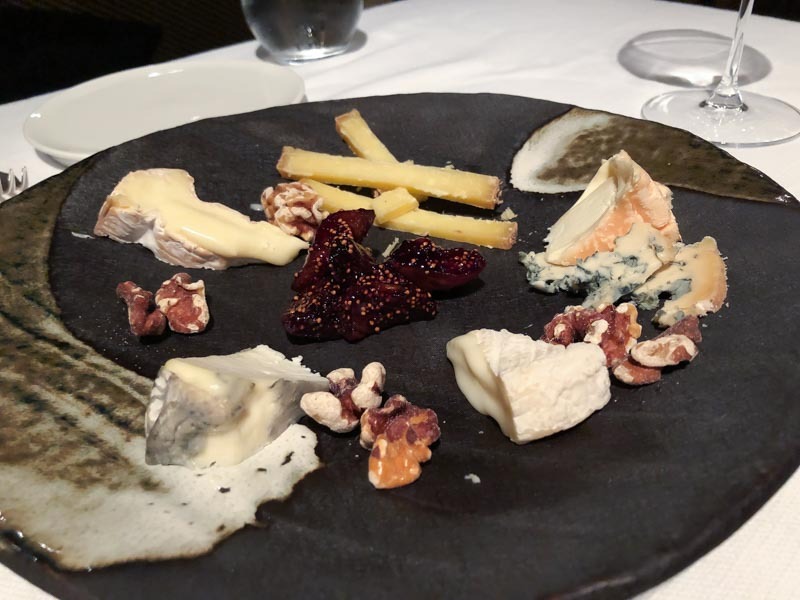 Before dessert was served, we were presented with a board of cheeses. 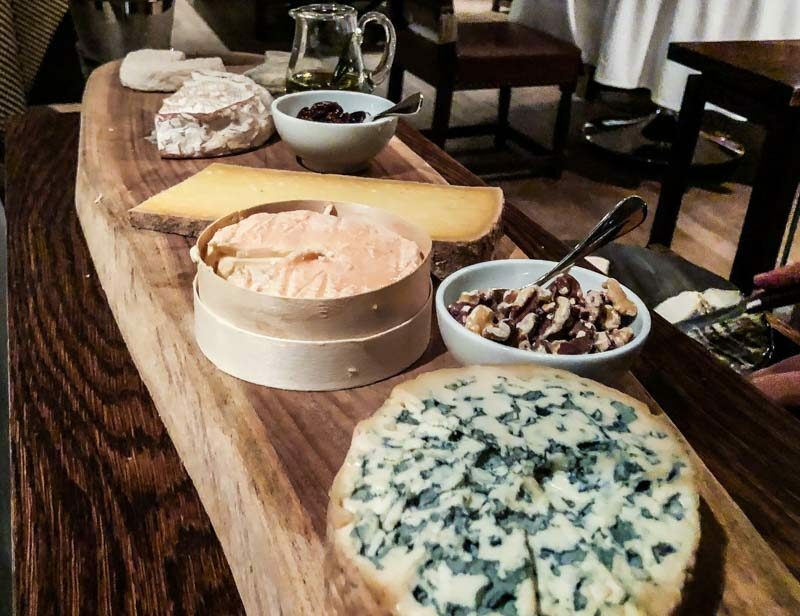 From goat’s cheese to cheddar and blue cheese, you’ll get to pick any one or even all six to sample. Of course we chose all six. We didn’t regret that decision at all as they were all so yummy. It was a feast for our senses; creamy, crunchy, stinky and soft. The textures and savoury sweetness felt like an extension of the wonderful meal we just had. 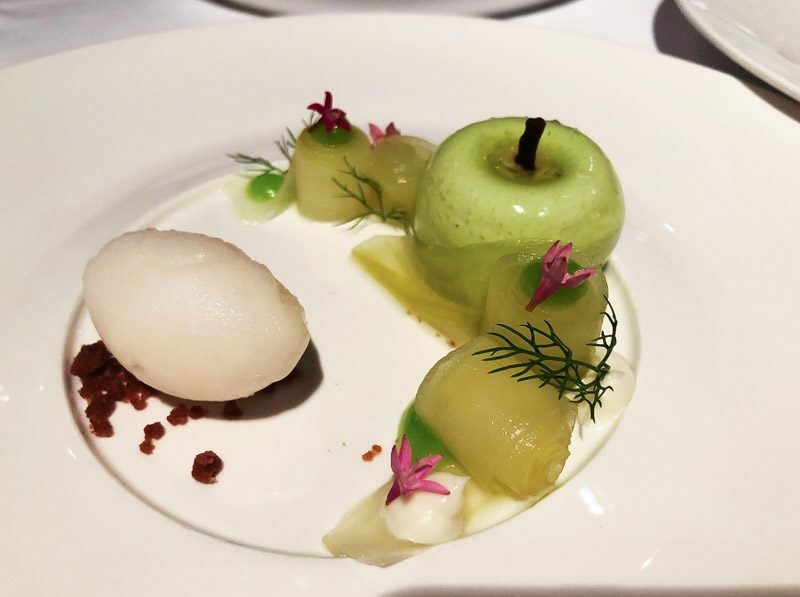 Dessert arrived looking too pretty to eat and was a “garden” featuring lemongrass sorbet with cucumber-dill compote, lime cream cheese, cinnamon crumble and apple parfait. 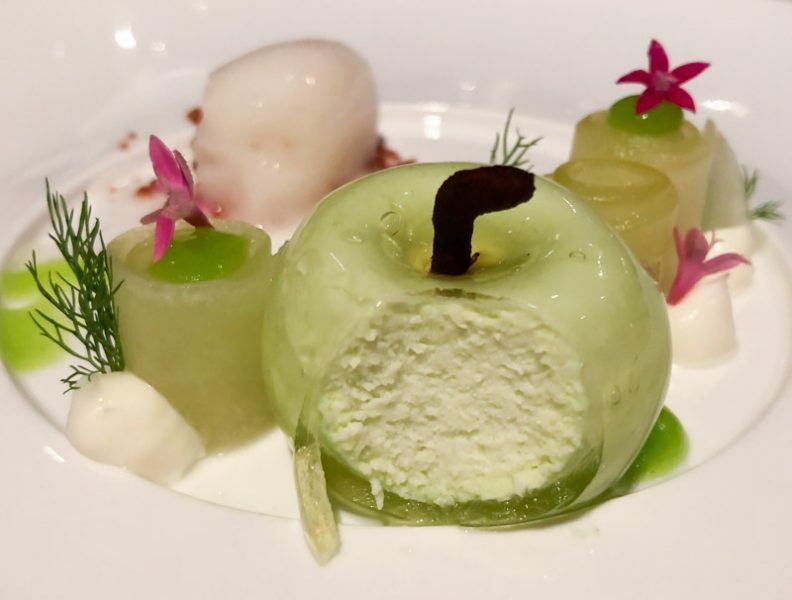 My favourite was properly the apple parfait because of the creamy filling and jelly-like casing that packed just enough of an apple flavour. Every single component was meant to bring a refreshing end to the meal, and the dish more than delivered. The wine pairing definitely enhanced the whole experience, so shell out for a gastronomic experience if you feel like treating yourself. For the more budget-conscious, the staff will be able to recommend a bottle that will complement all the dishes. 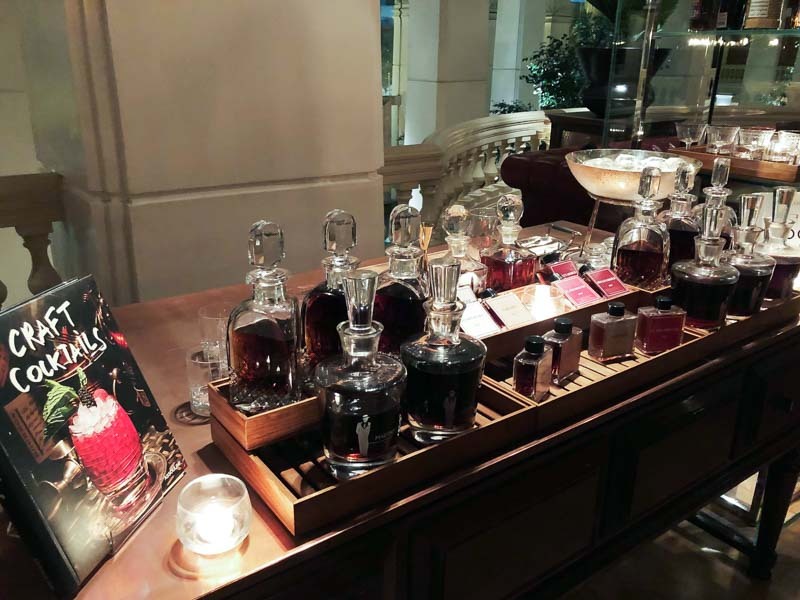 With a fairly reasonable price for such an exquisite degustation menu, Tables Grill definitely makes for a good dinner date option in Bangkok.